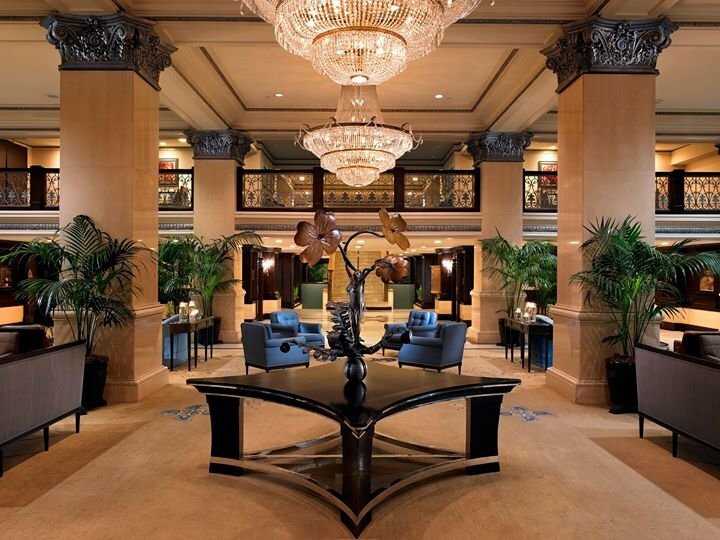 THE US GRANT, a Luxury Collection Hotel, reigns as San Diego’s landmark hotel since 1910. Built by a son to honor his father, former US President & Civil War Hero, Ulysses S. Grant, the iconic hotel is a crown jewel steeped in timeless elegance. A San Diego icon since 1910, THE US GRANT, a Luxury Collection Hotel provides an exceptional experience steeped in timeless elegance and legendary style. Built by Ulysses Grant Jr. in honor of his father, the iconic hotel fuses its storied history into a palace of contemporary yet classic luxury. An incomparable escape, each of the 270 guest rooms, including 47 suites, guarantee a memorable and distinguished stay. Understated elegance parades in warm earth tones and authentic artwork including custom drip painting head boards by acclaimed French Artist, Yves Clement. Comfort is enhanced with rich amenities including plush pillow top mattresses wrapped in 300 thread count linens and imported bath amenities. The 42” flat screen television provides entertainment while business needs are met with an executive desk and internet capabilities. For added indulgence, unwind with spa services provided by Away Spa in the comfort of your guest room or in THE US GRANT’s tranquil Spa Suite. Serving farm to table California Cuisine, The Grant Grill represents the best of San Diego dining in a setting of sophistication and relaxation. Guests can enjoy seasonal, hand crafted cocktails and an extensive regional wine list in the art deco Grant Grill Lounge or in the hotel's Grand Lobby Lounge, where celebrities and dignitaries have mingled for almost a century. For a more intimate dining experience, 24-hour room service offers serenity, convenience and culinary satisfaction.